Sugar Bowl Resort is a high alpine ski area located in the Sierra Nevada mountains atop of Donner Pass in the small town of Norden California. It’s a historic ski resort and his home to the first ski lift in California, which as been operating since 1939. Even though the resort is close to the famed and busy shores of Lake Tahoe you feel worlds away when you walk around the forested high alpine resort. This is one of the main reasons to visit and host your wedding at Sugar Bowl is the seclusion you feel while at the resort. There are two unique locations at the resort to host your wedding festivities during the spring, summer and fall months. The first is the Village Lodge at Sugar Bowl, which is a stunning old ski lodge and can host the bigger weddings. Most ceremonies take place on the beautiful lawn out back right next to a tall stand of pine trees. While the eating and dancing of the reception takes place on the outdoor deck that is attached to the Village Lodge.This location makes for a perfect mountain wedding venue and vintage ski lodge feel. Unlike some of the other wedding venues around the Lake Tahoe area you will feel as if you have the whole place to yourself with no one else around except for your guest and you. There are plenty of wedding picture opportunities with in walking distance of the lodge to capture that true mountain feel. You can also jump in the car and take a short drive to the top of Donner Pass to take more pictures with Donner Lake in the background. The second location is Lake Mary at Sugar Bowl which is a high alpine lake with views of the ski resort in the background. Your wedding ceremony will take place on the charming wood deck that overlooks all of Lake Marry and the Sierra Nevada mountains as a backdrop. This location only host smaller weddings and events since the resort puts a cap on the number of guest you can have there. You’re wedding reception will take place on the green lawn right behind the ceremony deck, which is a prefect place for an outdoor eating and dinning. When the dancing starts at night the ceremony deck turns into a huge outdoor dance floor for all your guest to enjoy! There are a lot of other attractions at Lake Marry like the horse shoe pits for your guest to enjoy and paddle boats that they can take out onto the lake for a ride. At night the staff will ignite the huge fire pit they have for guest to stay warm by and to roast marshmallows and make S’mores. You definitely get that camp feel by the lake when you host your wedding at Lake Mary. As far as photo opportunities go, there are tons of them. You have the lake and the shore line and a couple of forested walking trails around the lake to give you that forested looking picture. Then you also have the chance to drive to the top of Donner Pass too. Trust me you will not be disappointed if you host your wedding at any of the locations at Sugar Bowl. The staff are very friendly and professional and will make sure your wedding day runs a smoothly as possible. 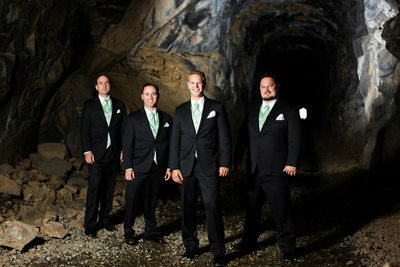 The following gallery is of a wedding that took place at Lake Mary during the month of September. Please contract Sugar Bowl for more information.